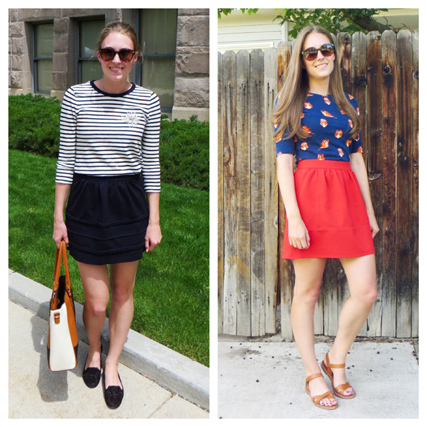 Now that I'm head-on into fall outfits, it's time to reflect back on what I wore this past spring and summer! I shared over twice as many outfits this spring/summer than I did last fall/winter, so it was REALLY difficult for me to narrow down my favorites. As I go through each outfit, I basically ask myself if I would wear it again right now. A lot of them I would wear again, to be honest, but to narrow them down even more, I was picky about the exact pieces I used to put each look together. I ended up with 12 favorite outfits in the end. 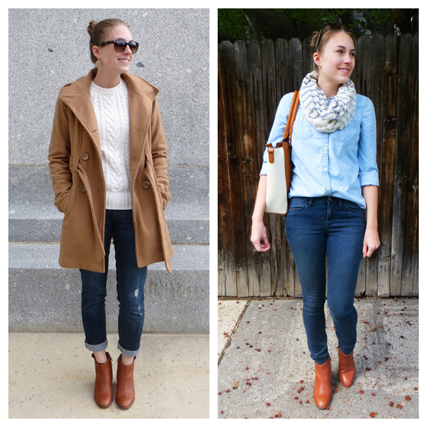 I felt myself gravitate more towards the neutral outfits, but I did fall in love with some colored looks. :) What were your favorites? !